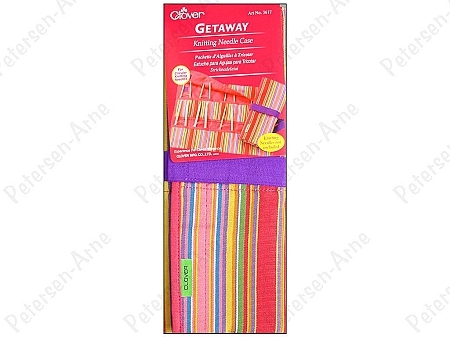 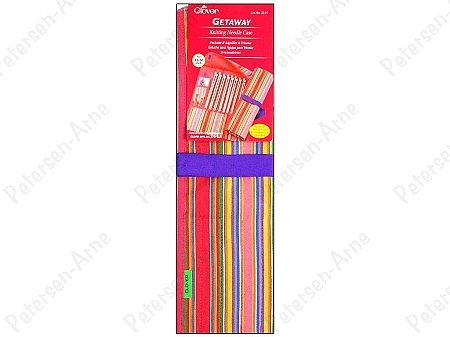 Clover Getaway Cases give you a convenient way to carry your knitting needles or crochet hooks around in style. 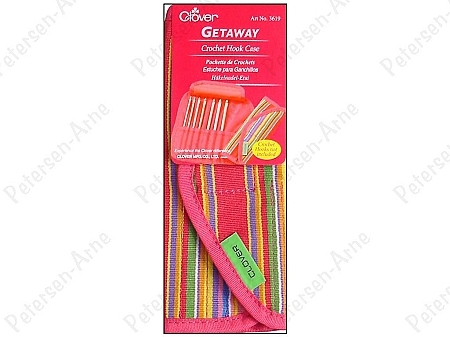 Each case is designed sturdy enough to hold all your hook or needles, and pretty enough to take any where. 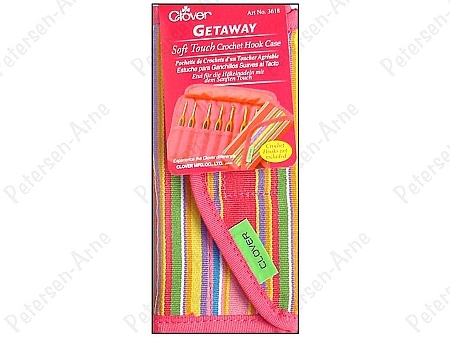 The hooks or needles simply side into specialty pockets, and then the case folds up into a handy carrying case. 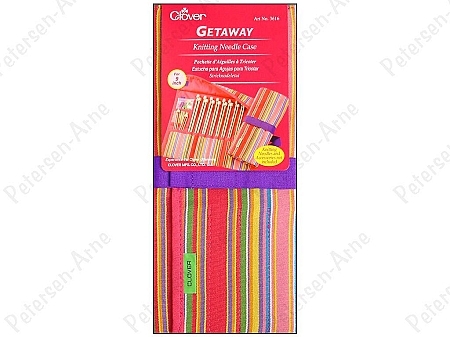 Knitting needles are not included.